The NPR article mentioned the electronic music released by Projekt Records. The Passage is one of Sam’s solo electronic releases. And it’s on sale for you. A foray into the realms of pure ambient from Black Tape For A Blue Girl founder/songwriter Sam Rosenthal. The two pieces submerge the listener in a self-sustaining environment of warm electronics, minimalist processings and an unresolved, yearning string theme. The vast field of harmonious resonance and granular sound moves gradually and languidly, time stretching and evolving, rolling back into itself. While the 44 minute “The Passage” revels in a slow motion dance on the far side of the infinite, “Rae,” the last ten minutes of the album, adds a new element to the work. Stacking the shimmering harmonics of long-standing Blacktape collaborator / violinist Vicki Richards into a sonorous cathedral dome, “Rae” spirals higher and higher before fading away into a grateful silence. The Passage is a foray into the realms of pure ambient from Black Tape For A Blue Girl founder/songwriter Sam Rosenthal. The two pieces on the hour-long album submerge the listener in a self-sustaining environment of warm electronics and minimal processings of deep, tender swells and an unresolved, yearning string theme. This is music which gently rotates around its own axis in a time-suspended haze. Without Ananda Nidra‘s vocal track, “The Passage“ now feels like a gentle echo of the inner silence experienced during meditation. By working with a handful of sonic elements gently evolving over time, Rosenthal changes the emphasis ever so slightly. The vast field of harmonious resonance and granular sound move gradually and languidly, time stretching and evolving, rolling back into itself – very much in the vein of Rosenthal’s favorite Discrete Music by Brian Eno. On The Passage, everything hinges on the comforting arrival, dissolution and re-appearance of events, on motifs meeting and departing, thematic strands isolated from the current of sounds, drifting and freely floating for minutes on end, before ultimately flowing together again, like tacit tributaries re-entering the stream. “The Passage“ returns, dramatically refined and enhanced, accompanied by the new, complementary track “Rae.“ It brings the narrative of Rosenthal’s art to a new point; and in that, it is the beginning of a new chapter in his creative possibilities. Sam Rosenthal is the mastermind behind Projekt Records, and has also come to be known for the quality music he has released with Black Tape for A Blue Girl. Sometimes he releases music under various guises, but rare is it that he steps out under his birth name. The Passage finds him in solo territory, and the album—which is, in essence, a 45 minute song—one that is the expansion of 1999’s song from Black Tape for a Blue Girl’s album As one aflame laid bare by desire, is as cold, bleak, and amniotic as one might expect. This is the sound of a tundra, or the sound of an ocean journey, or the sound of in utero. In other words, music that is gentle, fluid, and encompasses the passage of your choice. But it’s the gentle textures, the little flourishes here and there, that make the listening essential; sure, you can put this next to recordings by Brian Eno, Aphex Twin, Harold Budd, or William Basinski, and it would be hard to distinguish. There’s a second track, the ten minute “Rae,” which blasts open “The Passage” with warm, invigorating light. Childbirth? Clouds breaking? Emerging from the depths? You get the idea. This second track is necessary to complete the first. Gorgeous stuff. It’s the very first time that my ears cross the music of Sam Rosenthal, founder of the American label of dark and ambient music Projekt. And I have to admit that I came of it my ears filled by a masses of immersive and meditative soundwaves from two instruments to the antipodes of their existences. The Passage is a dark and intimist work which accompanies us in the reading of our thoughts and our abstruse souvenirs. It’s the blackness in immobilism and a front door towards passages of our interior. It’s a kind of crossing between Steve Roach’s Immersion series and the amazing Bernard Xolotl’s procession. It’s as much beautiful as that can be dark and also fascinating that a union synth/violin can be. It’s the twilights of the most factual the title track brings us. A great combination synth and violins waves opens the intro. A union which will lead us during almost the 45 minutes towards a strange lethal labyrinth. A mislaid bat lets his wings float violently in this blackness, adding an uncomfortable dimension to these slow morphic layers which float with an intriguing attraction. Little by little, she pursues her uneven flight towards distant horizons before disappearing to leave this slow immersive waltz wrapped our spirit. “The Passage” is a long passage of softness and blackness. It’s an intense dive into silence and its sighs of tortured souls. A little as if we were hidden in a longitudinal corridor without windows, openings and nor stemming to listen to winds complaining about darkness. Winds of which we can’t discern the singings of groans and of which fine and subtle spheres of influence brush our immobilism. Dal fondatore dei Black Tape For A Blue Girl e anima della Projekt Records, Sam Rosenthal, è in uscita questo “The Passage”, un itinerario di classe nell’ambient puro. Si tratta di un lavoro costituito di due ampie tracce, ricche di piccole variazioni, meditato per sommergere l’ascoltatore tra elettronica avvolgente e notazioni minimali, con tocchi d’archi, in cui le note naufragano in una sorta di sospensione atemporale. Sam Rosenthal in questo album è agli strumenti elettronici e Vicki Richards fa da contrappunto con ulteriore programming sonoro e il suono del violino. “The Passage” è un concetto, prima di tutto: passaggio, quindi una mutazione, come è la nostra vita, divenire. Un passaggio, certo, ma graduale, che ha in sé gli stessi germi della trasformazione; si può trattare di un passaggio reale, tangibile, fisico, ma tutto nell’astrazione dell’album ci indica che si tratta di un passaggio concettuale, evocativo, passaggio dunque come metafora, che raggiunge la palpabilità materiale solo nelle note di velluto, ma è ben presente alla nostra percezione come struttura di cui è infarcita la vita stessa. Il brano “The Passage”, della durata di ben 44 minuti e 29, è il risultato di un ampliamento e sviluppo di un pezzo da “As One Aflame Laid Bare By Desire”, dei Black Tape del 1999. Sam ha ripreso il brano, l’ha dilatato, scoprendone le potenzialità nascoste, nella sua versione “meditativa” per il lavoro di Mark A. Michaels e Patricia Johnson “Anandra Nidra”. Poi, soppressa la parte vocale per la versione presente in questo album, i micropassaggi arricchiti ricordano la “Discrete Music” di Brian Eno, ma anche le “White Arcades” di Harold Budd: anzi “The Passage” si può interpretare propriamente come le black and blue arcades di Sam, come si nota anche dalla copertina. Qui i piccoli motivi e gli accordi si coagulano e si sciolgono, gli impercettibili movimenti spaziano e increspano la superficie del suono, su uno sfondo solenne che campeggia però come un’alone di perla. Come il brano “The Passage” rappresenta una nenia concettuale, melodia al rallentatore ai confini del mondo noto, “Rae”, la seconda traccia, si mette in evidenza per la partecipazione più esplicita di Vicki Richards. Violinista in attività da decenni, di preparazione tanto classica, quanto esperta dei raga indiani, abile a sintonizzarsi su parti elettroniche e su fusioni tra varie specie di suoni e stili, fa librare il suo archetto nell’atmosfera sacrale e fluida di questo brano di notevole suggestione. Questo secondo pezzo è leggermente più movimentato, ma con una dinamica interna differente, come di una piccola felicità nascosta tutta interiore. Anche in questo trascorrere tra la prima e la seconda traccia, nel degradare tra le due composizioni, si manifesta ancora una volta l’idea del “passaggio”: tra la prima traccia, più statica, alla seconda, che vibra nell’aria. Un passaggio quindi, ancora una volta, che si delinea come la ricerca del senso interiore, dell’equilibrio, per cancellare il rumore folle della fantasmagorica, automatica e talvolta grigia vita quotidiana, attraverso la dilatazione della consapevolezza. This release from 2011 offers 55 minutes of atmospheric ambience. Rosenthal (founder of Black Tape for a Blue Girl) plays electronics and processing. He is joined by Vicki Richards, who contributes violin and processing. The title track started out in 1999 as the closing track for the Blacktape CD As One Aflame Laid Bare by Desire. Over a decade later Rosenthal revived the composition during his work on the score for Ananda Nidra, a guided meditation release by Mark A. Michaels and Patricia Johnson. It is presented here, remixed and reworked into a 44 minute piece, minus its vocal track. Waves of tenuous tones establish themselves with careful dormancy, gradually evolving substance as the piece unfurls. Ethereal drones are delivered in a pendulum of movement that approximates the mystic breath of reality. A dedicated level of serenity is maintained throughout, so pure that the music’s constant evolution becomes difficult to discern. The vaporous environs conjured by these sighing texturals is tempered by auxiliary threads which, while skillfully submerged in the flow, transform that progression into a vivid state of emotional focus. Eventually these new layers muster enough prominence to guide the composition into territories closer to the veil that separates reality from imagination. Il magnate della Projekt e dei Black Tape For A Blue Girl Sam Rosenthal è una delle figure fondamentali della scena dark-wave degli ultimi due decenni. Nonostante ciò, all’insaputa di gran parte degli appassionati, i suoi primi esperimenti (di cui unica traccia reperibile è l’album Before The Buildings Fell risalente al 1983) erano caratterizzati dall’utilizzo esclusivo di strumentazione elettronica e da atmosfere vicine al minimalismo ambient del primo Steve Roach, ben distanti dalla magniloquenza sonora del suo progetto più noto. A distanza di molti anni da quei tempi, in Rosenthal pare essersi riaccesa la scintilla di passione verso l’ambient music, in realtà mai spentasi del tutto (basti pensare alla collaborazione con Dirk Serries in Terrace Of Memories del 1992 e in molti inserti negli album dei Black Tape) sfogata dapprima nel side-project As Lonely As Dave Bowmann e ora in questo suo secondo album solista, contenente due soli brani in cui il secondo è in realtà coda del primo. Nei tre quarti d’ora scarsi della title track Rosenthal riprende in mano l’omonima composizione che concludeva il meraviglioso As One Aflame Laid Bare By Desire sviscerandone l’essenza più intima e dilatandone ogni tratto, iniettando rivoli sonori in ogni fessura di silenzio. Quel che ne viene fuori è una mastodontica sinfonia di rarefatti soundscape ambientali, in grado di essere scambiata con i migliori episodi del Thom Brennan più in forma (quello stesso che nel 2001 partorì il capolavoro “Vibrant Water”). Per tutta la durata della suite il flusso sonoro viaggia imperturbabile e con lentezza in un cosmo astratto, assimilando qua e là variazioni di tonalità e l’ingresso o l’uscita di una sua parte. Il tutto prosegue così in una quiete che viene mossa solo dall’esplosivo e poderoso finale di “Rae”, dove a fare il suo ingresso è il violino elettrico di Vicki Richards, scomposto in una miriade di sequenze sonore e in grado di rappresentare una sorta di atterraggio e la contemporanea fine del viaggio. Sam Rosenthal is one of those names that probably rings a bell. Know as the creator behind the darkwave group Black Tape For A Blue Girl, he is also the founder of Projekt Records. His recording history is long (since 1986) and diverse; dabbling in darkwave, gothic, cabaret and ambient music. This is his most recent release, well kind of sort of, but we’ll get to that part. The Passage consists of two songs. “The Passage”, which is actually a song that appeared on Black Tape For A Blue Girl’s 1999 cd, As One Flame Laid Bare By Desire and “Rae”. After re-visiting the song, Rosenthal muted the vocals and discovered a haunting soundscape and extended it into a 44 minute piece. This is where “The Passage” truly begins. It all starts quietly enough yet grows with enough intensity to sound almost symphonic. The composition is thoughtful without being over the top or forceful. Rosenthal is able to give the ambience of meditative indifference. It’s not happy or sad it just is. The flow of the ambient sounds gravitates with purpose and direction. There are a few moments were the calm is upended by a bit of pensiveness or anxiety but overall they only add another dimension to the piece. The title, “The Passage” is well given; there is a feeling of movement (either physical or dimensional). While there is a soft etherealness, there is also an undercurrent of harshness too. If “The Passage” is where Rosenthal begins, then the next piece “Rae” is where he soars. “The Passage” flows directly into “Rae” and there are few subtle changes to start with. There is a shimmering, bright chords that are played above the familiar ambient sound that makes the piece very dramatic. Even though it seems like we are listening to the same song it sounds so different and fresh. “Rae” has a joyous lyrical inclination to it that is light and uplifting. Audio waves swell and ripple out, no tonal transformations, more minute calibrations; Koan-esque, layers are set in motion and simply left to go with their own flow. The recording history of Sam Rosenthal is long and shifting, though mostly a story of dabblings in ‘Dark’, whether ‘wave,’ ‘cabaret’ or ‘ambient’ variations. Founder of Projekt Records and curator of black tape for a blue girl, his debut, Before the Buildings Fell, was fully two and a half decades ago. It’s a long way from that to The Passage, though not that far from a sound realized back in the mists of 1992 on Terrace of Memories with Vidna Obmana. The Passage could in fact be viewed as an opening out of an electronic instrumental approach briefly touched on in some of btfabg’s releases before their shift to dark cabaret. The main track is in effect an extended ‘mix’ of a track from btfabg’s As One Aflame Laid Bare by Desire, itself reworked for Projekt-released meditation album, Ananda Nidra: Blissful Sleep. It presents as a soft-focus swirl of deep-voiced recursive swells threaded through with an unresolved micro-symphonic motif, as if this offcut of Black Tape had been packed off to the space music school of Steve Roach to have its gothic romanticist edges smoothed out. Fading in from the threshold of silence, lustrous pads shift over a velvet base of oceanic drone, evolving into a field of harmonized granular resonance in languorous time-stretched motion. They slide over and around each other in a liquid expanse of mellifluous undulations, the translucent upper strata by turns coloured by insurgents from the inky depths then refreshed by light-toned revenants, before eventually The Passage through gathering gloom is negotiated. All revolves around incursion, dissipation and recursion, around encounters and isolations—of figures whorled within and floating free from the centre before eventual confluence with the sound current. Shorter companion piece, “Rae,” ushers in a brightly contrastive influx of sonic iridescence from btfabg collaborator, Vicki Richards, whose violin sonorities surge, arcing, cathedralesque, in effulgent climax before fading to silence. You’ll have to forgive me if I seem a little foggy. I’ve just spent an hour floating around inside of Sam Rosenthal’s The Passage, and it can take a while to come back to reality. 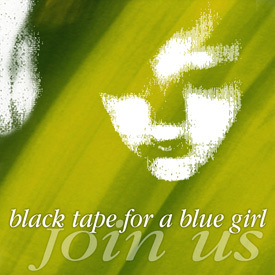 Stepping off from a 16-minute Black Tape For A Blue Girl song from 1999, The Passage sends the listener on two quiet journeys, one 45 minutes long, the other a 10-minute combination wake-up call and mental palate cleanser. Together they create a space cut off from time, minimalist drones coursing in warm, fluid waves that completely envelop the deep listener. I’m sure this disc sounds fine as a low-volume loop, but put in the headphones, keep it a little on the low side, and it becomes a long, calming, therapeutic brain massage. Rosenthal lets his waveforms roll forward, transformations in tone coming slowly–more like a subtle change in temperature than any sort of sonic shift. He seems content to set his layers in motion and let them decide where to go next. You will get lost in here, make no mistake. When the first 45 minutes have glacially eased their way past, you may only become aware that you’ve moved into the second track, “Rae,” when violinist Vicki Richards softly makes her entrance. “Rae” is lighter in overall tone than the title track, a lazy spiral of sound moving upward, bringing you back to an awareness of your breath, and fading quite perfectly into a well-deserved contemplative silence. The Passage is a perfectly constructed piece of drone ambient, a comforting swath of negative space to retreat into to just exist in the sound for a while. A superb offering from Sam Rosenthal. Sam Rosenthal is a name synonymous with the darkwave and ethereal genres that were largely popular and highly influential throughout the 90′s, and though popularity and exposure for these genres has waned over the past decade or so, Rosenthal’s now nearly three decade old label Projekt is still running strong, especially over the past five years with the coming-to-age of dark cabaret. Even with those ties however, lately Projekt has taken on a slightly new face. At one time, the ambient genre was only hinted at as a minor interest for the label, occasionally featuring albums by the great and largely underrated Alio Die, and the scarce neoclassic tidings of long-lost projects like Frolic. Lately though, Projekt has a renewed interest in the genre, showing so by not only throwing their full support behind one of the most monolithic figures in ambient music today, Steve Roach, but also through this release; Sam Rosenthal’s first solo ambient effort in twenty-five years. True, the effort that we’re speaking of from two and a half decades ago, Before the Buildings Fell, is far from the sound that is found on The Passage, but Rosenthal has worked in the past under another moniker in Terrace of Memories with Dirk Serries (aka Vidna Obmana), at least for the one-off self-titled album in ’92, that is far closer to the sound found here. The Passage was originally composed under the Black Tape for a Blue Girl moniker as the final track on As One Aflame Laid Bare by Desire, and eventually found a re-working for Tantra teachers Mark A. Michaels and Patricia Johnson on the recent Projekt-released meditative album Ananda Nidra: Blissful Sleep. This experience kick-started Rosenthal’s interest in the track as the now forty-four minute end-result has been remixed and is accompanied by the new track “Rae”. On the latter track, Rosenthal is accompanied by Vicki Richards, a violinist whom has released five full-lengths since 1998 in the realm of meditative music, spiritual healing and ambient. Considering the fact that The Passage was re-worked and utilized for the aforementioned meditative work for Mark A. Michaels and Patricia Johnson, this makes Richards the perfect accompanying artist, not only in sound but also in spirit. It’s unclear what really renewed Rosenthal’s interest in The Passage beyond the reworking of the track for the aforementioned meditative album and simply wanting fans to hear the music without spoken word over it. Though the man is increasingly outspoken on his opinions regarding piracy and the growing surge of music-streaming services like Spotify, he rarely speaks of his personal life in the public spectrum. While listening to this work that clearly begs for retrospective thoughts and emotions, it becomes increasingly hard to ignore the ties between the dedication to “T.R.C” on the inside of the ecowallet, the title of the second track, “Rae”, and the album title. Teamed with the simplistic and surreal blue/white on mostly black artwork, one can’t help but feel that this pair of compositions was in some way produced as a means to deal with grief and a specific loss in Rosenthal’s life. While there isn’t any information readily available to support this, and indeed Rosenthal attempts to explain the meaning behind the album on the purchase page at the Projekt website, the ambiance within The Passage begs for a deeper meaning than that which was carefully given. In fact, in the decription behind the album’s theme, the writer speaks of the cyclical properties of the record, writing “On The Passage, everything hinges on the comforting arrival, dissolution and re-appearance of events…” On the contrary, from the listener’s perspective, the album seems like a one-way journey. A combination in theme and experience seems to direct that voyage, from the 44 minutes of spherical, hazey drones on “The Passage” that scarcely change in mood despite the occasional crescendo, to the bright, shimmering and subtle tones on “Rae”. The entire work as a collective aural entity is reminescent of an act of deliverance, of floating among the void in a journey of aeons to arrive, finally, and become one with whatever awaits us in one increasingly short, harmonious and truly liberating release of light. The end of the album, which purls in sound by boldly swelling in volume and substance before pulling itself back, eventually reaches a definitively climactic moment, before rather quickly submerging and fading out into nothingness. Come forse carpito dai miei articoli, non sono mai stato un grande fautore della musica dark in generale e delle sue tante sottospecie o combinazioni; ho sempre avuto un’innamoramento calcolato tarato purtroppo sul mio carattere sbilanciato nella positività degli uomini, sebbene non possa nascondere l’impressionante importanza rivestita nella musica e riconoscere che è stata materia angolare per un rinnovamento della pop music (dream-pop) e dei filoni gotici (così chiamati in riferimento all’omonimo movimento letterario inglese che nell’ottocento raccoglieva le storie dei fantasmi, dei vampiri ed in generale tutto ciò che produceva angoscia o suspence): uno degli artisti più influenti ed attivi di queste diramazioni “oscure”, impegnato in una delle più “profonde” interazioni tra musica ed aspetti letterari e spirituali, è stato Sam Rosenthal; personaggio a prima vista tenebroso, è il creatore della Projekt Records, l’etichetta discografica che fissò un nuovo standard di canzone dark direttamente coinvolta nelle nuove miscele addentrate nell’allora non ancora dilagante sviluppo dell’ambient music. Rosenthal, per essere più precisi, ha costruito due carriere parallele, una dedicata alle interazioni tra dark rock e derivazioni ambient con il gruppo dei Black Tape for a Blue girl ed un’altra completamente diretta all’ambient music e ai suoi modelli principali (naturalmente Eno e Steve Roach che, attualmente, incide ancora per la sua etichetta). Se su questa affermazione si può essere anche in disaccordo, la cosa che qualsiasi critico non può contrastare è l’originalità e la maestosità della sua musica che costituisce un nuovo modo di abbinare l’austerità della musica classica alla sensibilità oscura della dark music e delle sue derivazioni…(ascoltate i magnetici 26 minuti di “For will you burn your wings upon the sun”). Rosenthal ha cercato di trasferire questo concetto (ma utilizzando l’elettronica manipolata al posto dei violini classici) anche nella parte dedita all’ambient music, e dopo un primo lavoro “Before the buildings fell” totalmente estraneo a quel principio (una mediocre celebrazione del primo Roach berlinese) ed una collaborazione con il musicista belga Vidna Obmana “Terrace of memories” (in cui fa la comparsa il drone con ancora accenti cantati in impostazione dream-pop), è il con il terzo lavoro “Pod” che si avvicina di più a quell’idea di esplorazione dell’animo in chiave musicale che è sicuramente il suo obiettivo finale. La recente pubblicazione di “The passage”, che rivisita l’outtakes registrato su “As One a flame laid bare by desire”, ricalca gli schemi di “Pod” con una minore apertura all’avventura cosmica e una maggiore all’aspetto etereo (un lungo drone in avanscoperta con minime variazioni a garanzia di una sorta di rarefazione musicale, che ha in sè molto degli esperimenti del Rich di “Somnium”) in cerca di quei momenti di riflessione e guarigione interiore a cui molti sommessamente aspirano. STYLE: Minimal ambience, weightless calm. The Passage begins with a long-form recording of beatless, heaving tones that warm and cool imperceptibly as the track progresses. Fading in from silence, lustrous pads underpinned by deep, heavy drones shift in oceanic manner; the buoyant lighter layers weightless and bright almost giving way to the shadows of the depths, then the abyssal gloom receding, the softer drifting mid-tones once more ascendant. The second track opens as the first concludes, crossing seamlessly, initially with little difference; then a new thread, shaft of brighter light, a sharp infusion of sonic effulgence. The violin strains of Vicki Richards can be heard here, sharing in greater crescendos than “The Passage,” beaming, soaring updrafts that build to a dense climax before fading once more into the silence from whence it all began. A serene album of inviting space, a refuge from the machinery of the day, a retreat, a haven. OVERALL: Sam Rosenthal is known to many as Projekt manager and founder/songwriter of the darkwave band Black Tape For A Blue Girl. Here he works solo under his own name with input from violinist Vicki Richards long time associate of Black Tape For A Blue Girl. The forty four minute twenty nine second “The Passage” is a meandering zone that engrosses and absorbs the listener in hypnotic harmony; the ten minute twelve second “Rae” is brief and more varied by comparison. Promotional material talks of a “vast field of harmonious resonance and granular sound [that] move gradually and languidly, time stretching and evolving, rolling back into itself.” This carefully crafted audio environment can be sampled at Projekt where a great deal more information is presented including an explanation of how the music evolved from a track originally on the 1999 Blacktape CD, As One Aflame Laid Bare By Desire. Chi ne segue le vicissitudini artistiche ben saprà che l’etichetta statunitense Projekt ha sempre avuto nel proprio roster autori di ambient minimale, e stavolta, a rinforzare le schiere, interviene direttamente il patron della label Sam Rosenthal, che firma a proprio nome il suo secondo lavoro ufficiale (il debut “Before The Buildings Fell” risale al lontano 1986). Il disco si divide in due tracce: la prima (da cui prende nome il disco stesso) è una lunga suite di 44 minuti, scritta nella sua forma più breve e originaria nel lontano 1998, quando fu inclusa nell’album “As One Aflame Laid Bare By Desire” della band Black Tape For Blue Girl, capitanata dallo stesso Rosenthal. Il pezzo è stato poi ripreso e allungato nel 2011 al fine di essere inserito nel doppio CD meditativo “Ananda Nidra”, opera di Mark A. Michaels e Patricia Johnson. 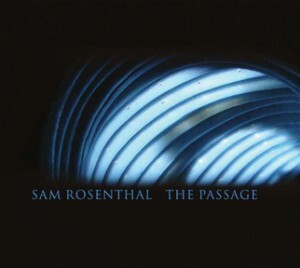 Consisting of two lengthy instrumental tracks, The Passage finds Sam Rosenthal, along with violin player Vicki Richards, moving back toward the open-ended electronic instrumental approach that often characterized Black Tape for a Blue Girl’s releases before the band’s shift to 21st century cabaret. “The Passage” itself is a 40-minute reworking of a piece that grew out of the Projekt label’s Ananda Nidra release, the original song itself having first seen incarnation as a 15-minute version on the As One Aflame Laid Bare by Desire album.